Mike has 7 years of experience in public accounting. He joined Welch after he graduated from university and began working in audit services. He has extensive experience working with clients in the manufacturing, construction, insurance, retail, professional services and not-for-profit industries. In addition, Mike also works on general personal and corporate taxes. 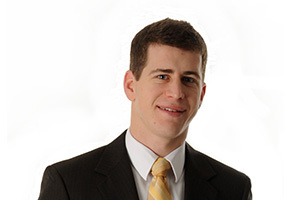 Mike is a graduate of Laurentian University in 2009 and obtained CPA, CA designation in 2012. He became a manager at Welch in the Belleville office in 2013 and was promoted to Partner in 2015. In addition to his audit experience, Mike provides internal assistance to staff members through training new staff and helping to implement and manage financial statement software for the Quinte offices.